Many answers about types of hearing loss and appropriate solutions are included here to help educate clients and consumers. Let us know if you need more information. With over 30 years experience, we are here to help. Each of the reduced size graphs may be clicked for an enlarged view. Each opens in a separate window. When done viewing, close that window to return here. Sensorineural Hearing Loss is a hearing loss due to impairment or degeneration of the cochlear (inner ear) resulting in an irreversible hearing loss. Sensorineural hearing loss can be caused by aging, noise exposure, birth defects, medication and viral or bacterial infections. 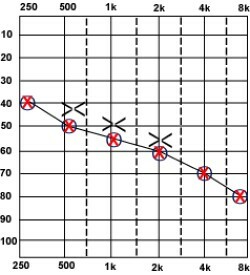 There is no cure for this type of hearing ,loss; however, most patients with sensorineural hearing loss can be helped with hearing aids. Reminder: Click graphs for enlarged view. Close window to return here. Conductive Hearing Loss is a hearing loss due to an impairment of the outer or middle ear. This can be caused by impacted cerumen (wax), punctured eardrum, birth defects or otosclerosis. Surgery or medication can be an appropriate therapy for conductive hearing loss in some cases. Approximately 5% of the population suffer from this type of hearing loss. Bilateral Hearing Loss is a hearing loss, either sensorineural or conductive, in both ears. 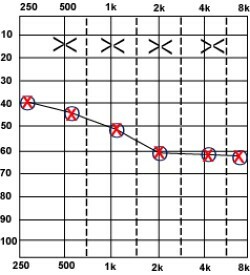 Mixed Hearing Loss is a hearing loss with both conductive and sensorineural components. Unilateral Hearing Loss is a hearing loss, either sensorineural or conductive, in one ear only. 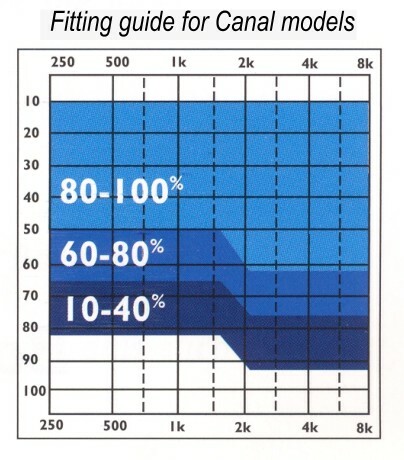 fits mild-moderate and precipitous hearing loss. 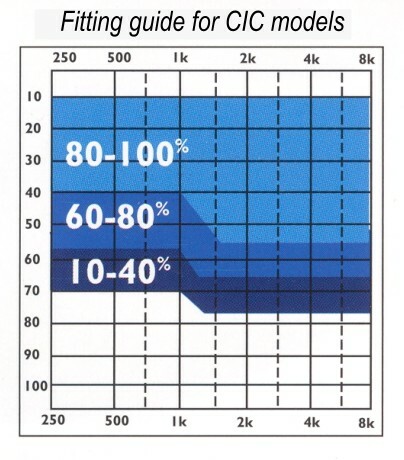 fits mild-moderate and possibly severe hearing loss. 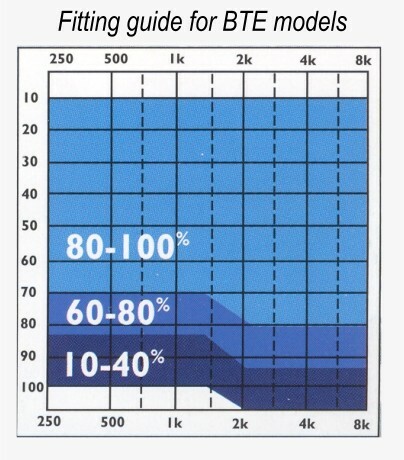 fits mild-moderate and severe hearing loss. 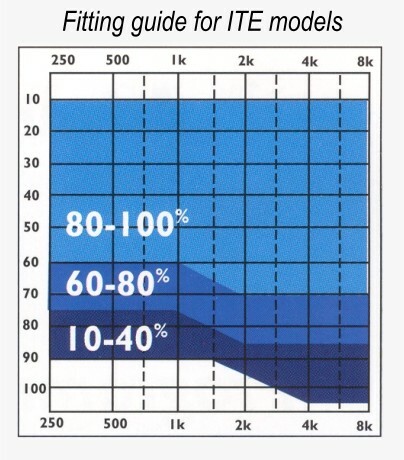 fits mild-moderate and severe-profound hearing loss.